Amazon Prime Original Series, Hear Me. Love Me. To Stream On 28th September, Teaser Out Now! Get a glimpse of the next Amazon Prime Original series,Hear Me. Love Me. 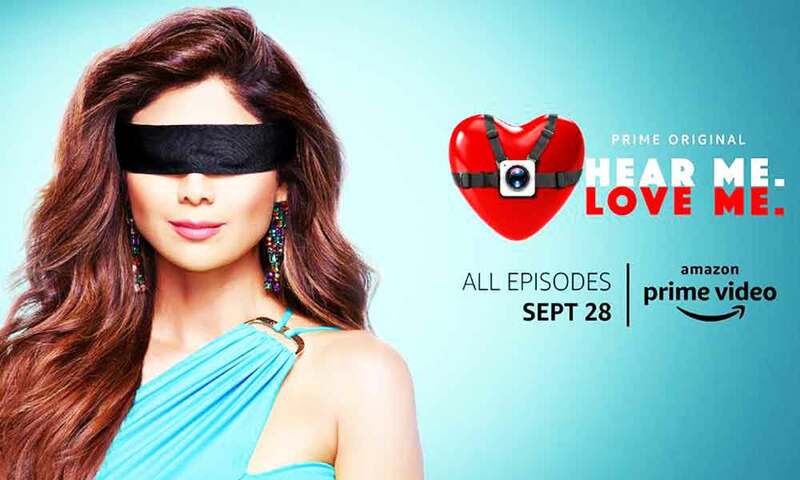 where Bollywood’s beloved diva Shilpa Shetty Kundra gives a new spin to virtual blind dating and modern day love. Stream all episodes from September 28, only on Amazon Prime Video! Amazon Prime Video has the largest selection of latest & exclusive movies and TV shows, stand-up comedy, biggest Indian and Hollywood films, US TV series, most popular Indian & international kids’ shows, and award-winning Amazon Prime Originals, all available, ad-free, with a world-class customer experience. To watch Hear Me. Love Me. and the newest releases in Hollywood & Bollywood, the latest US TV shows, kids’ favorite toons and Amazon Prime Originals, please visit PrimeVideo.comor download the Amazon Prime Video app today and sign-up for a Prime membership. Next articleCheck Out The Impressive List Of Young Talented Actors Discovered By Mukesh Chhabra This Year!